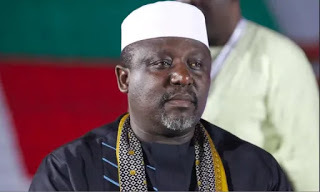 Information Reaching us has it that the Governor of Imo State Owelle Rochas Okorocha has officially dumped the All Progressives Congress for the Action Alliance, the Party of His Son-in-law Uche Nwosu. Recall that Uche Nwosu is the Flag Bearer of the Action Alliance for the Gubernatorial Election in Imo State. Governor Okorocha recently fell out with the Leadership of the APC, a situation which saw the Governor engaged in a war of words with the wife of the President when she came calling during a rally in Owerri.